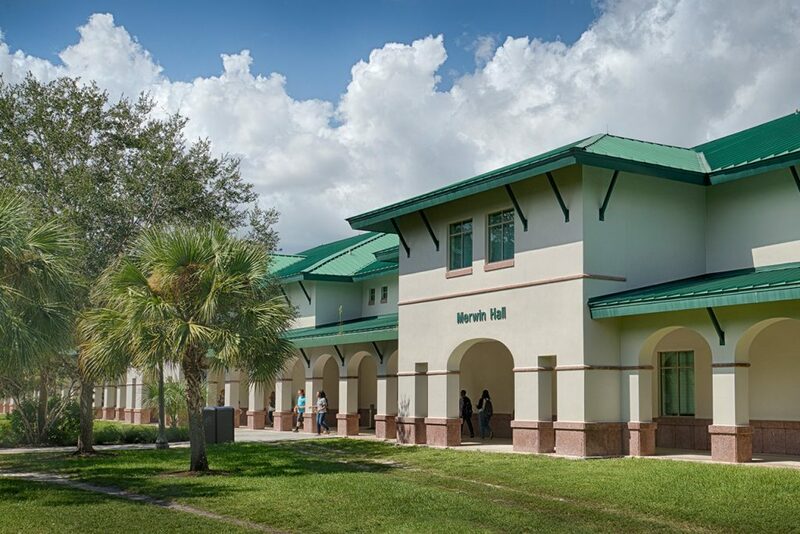 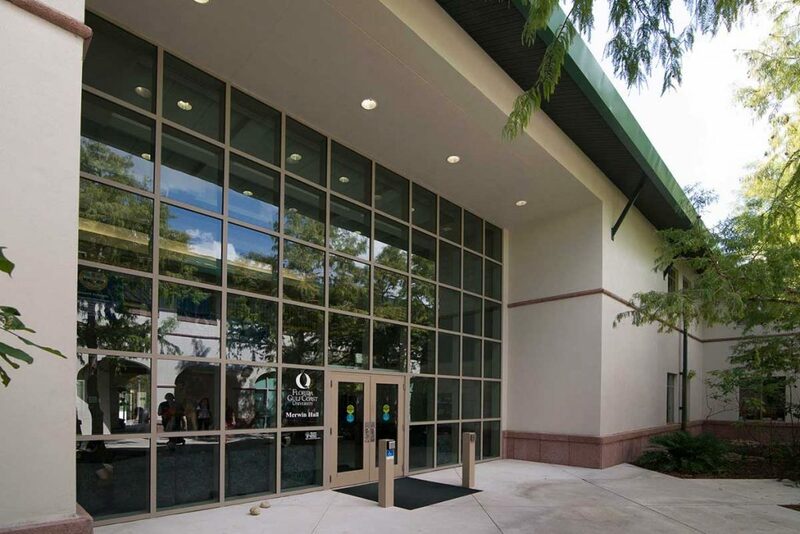 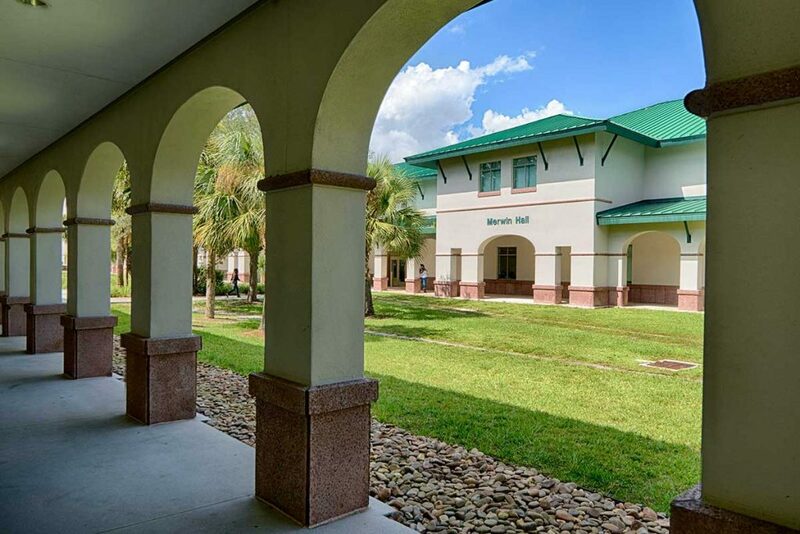 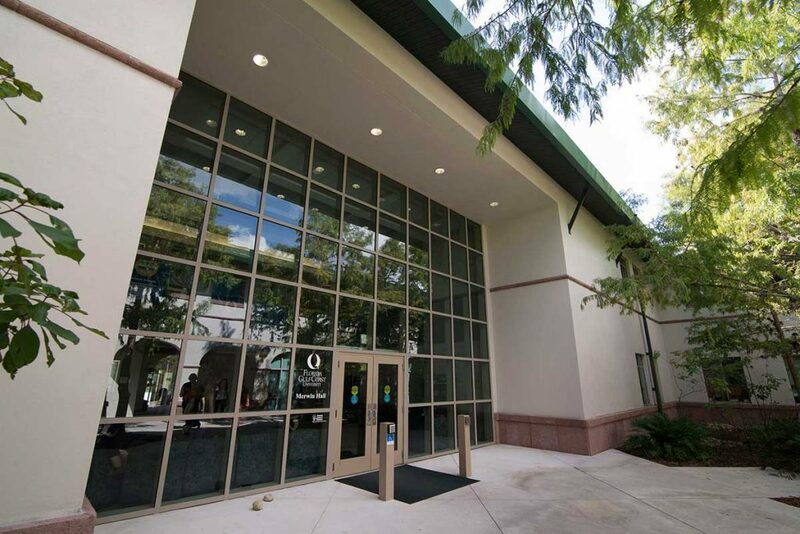 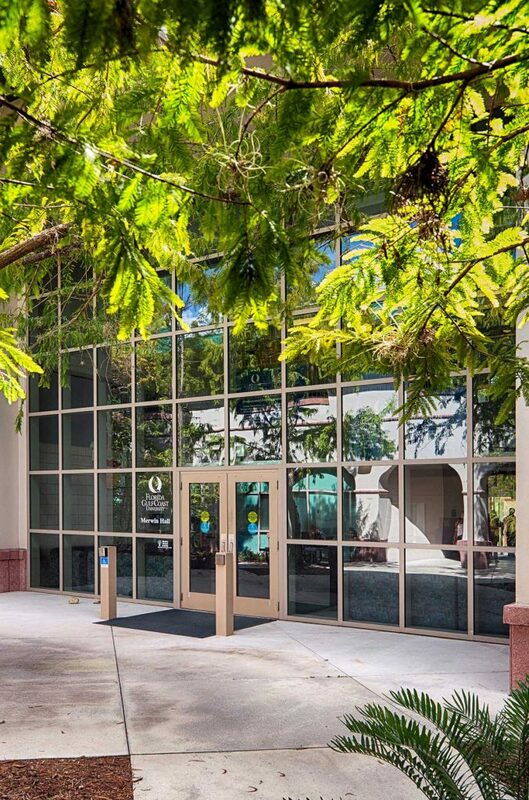 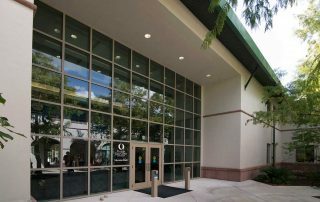 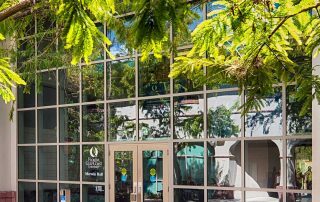 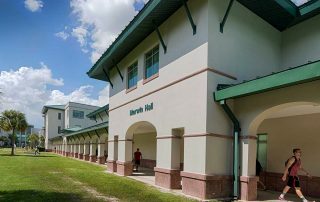 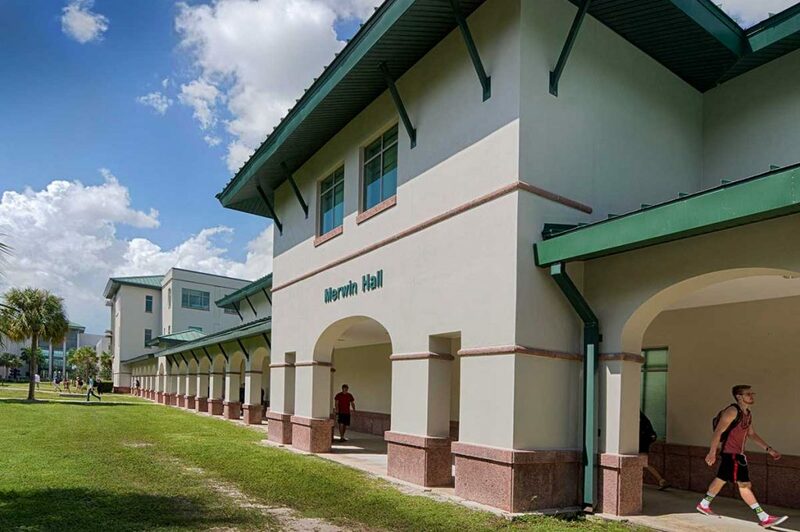 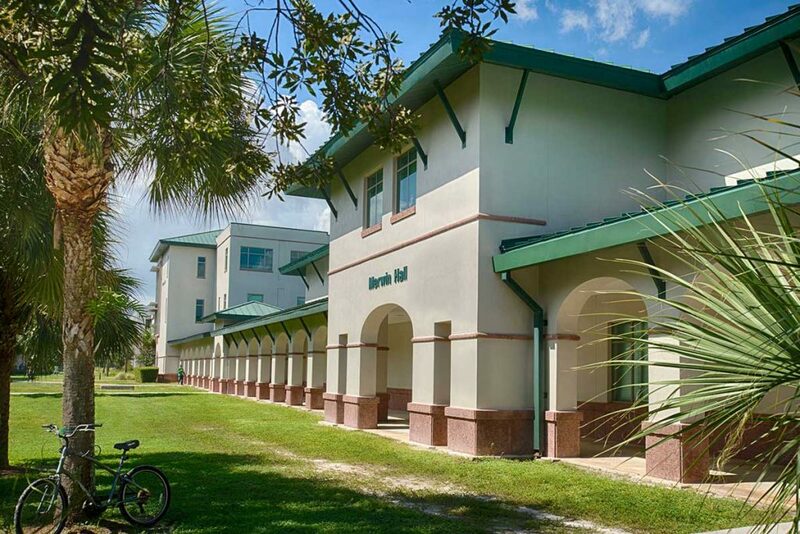 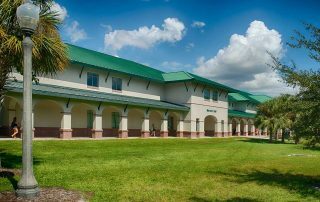 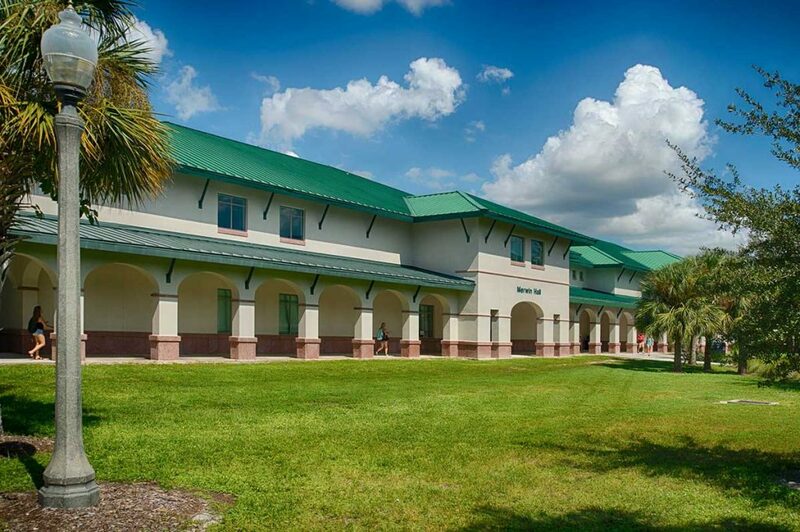 Merwin Hall was the first expansion to the academic core of FGCU’s campus. 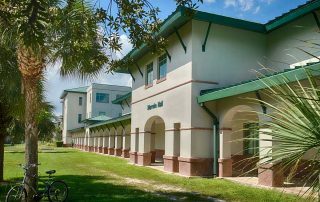 It is home to the College of Education and the College of Health Sciences. 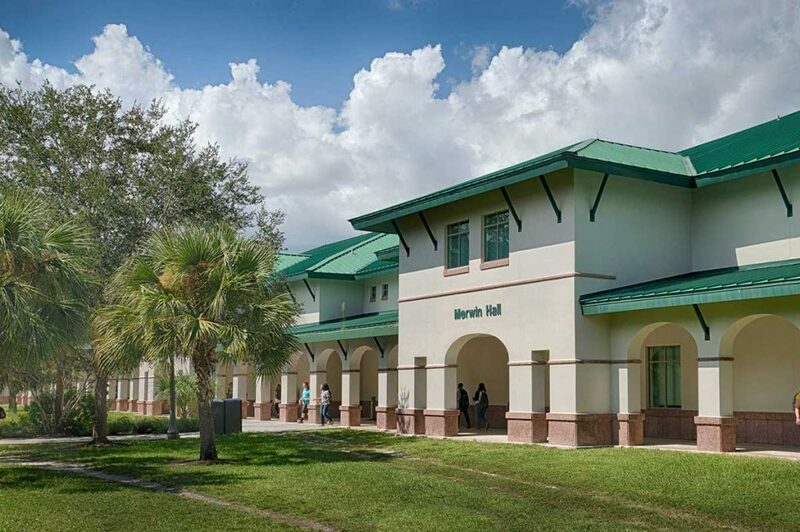 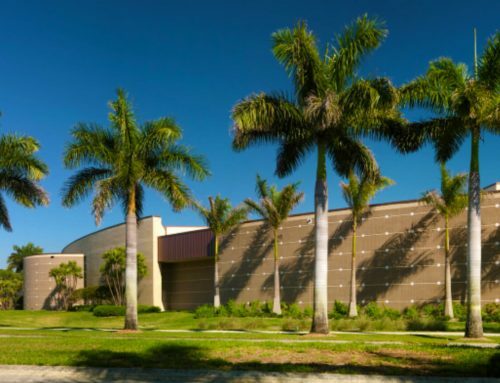 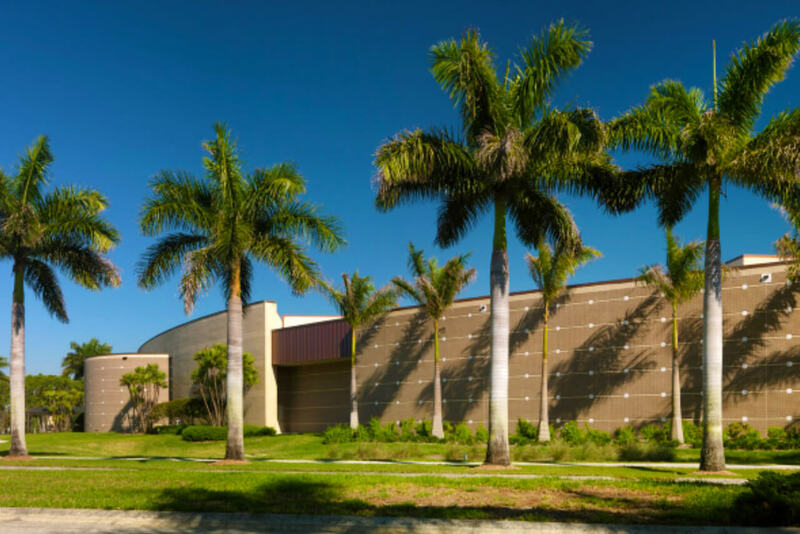 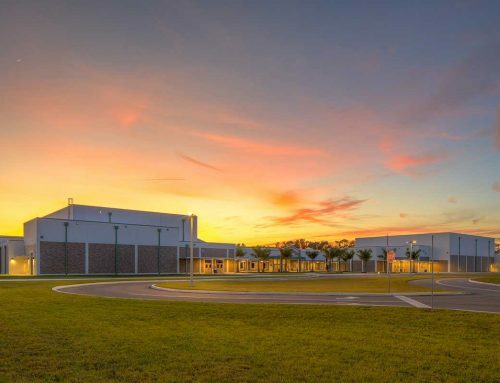 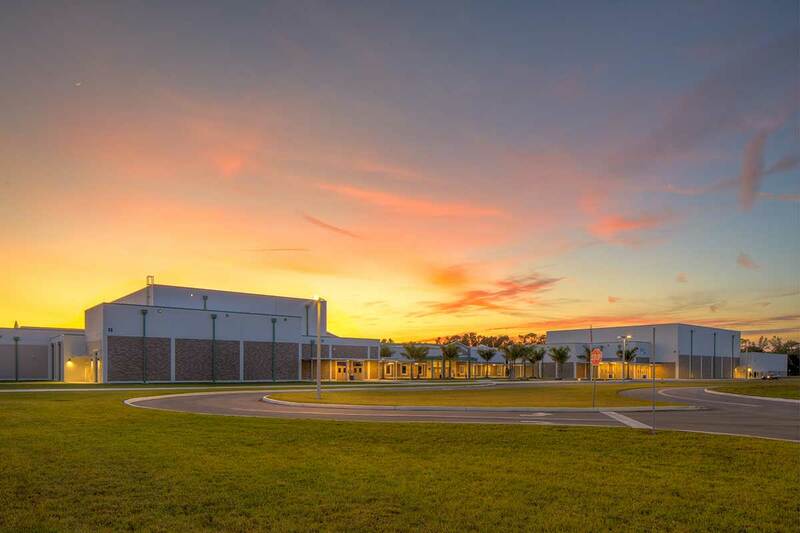 Completed in 1999, the 43,100 square-foot classroom and administrative building paved the way for future expansions. 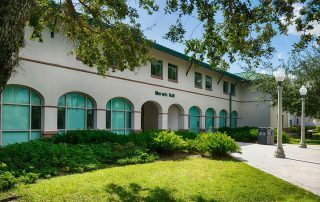 Merwin Hall was designed to ease the growth of the University’s student body. 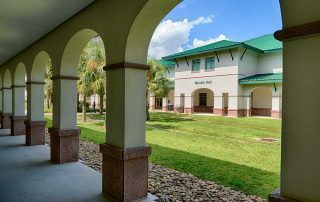 The design features parallel buildings with connecting “bridges” to provide efficient organization of both academic and administrative functions. 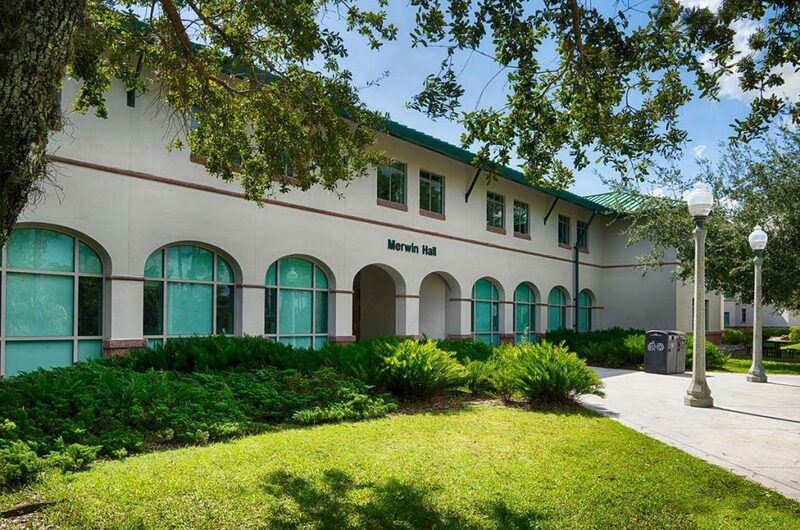 BSSW designed Merwin Hall to blend seamlessly with the campus architecture. The placement of the parallel buildings also creates an open lawn where students and faculty can enjoy the outdoors.